Heilprin's family (including Michael Heilprin, a noted writer and critic) emigrated to the United States when he was a small child, but in the late 1870s he temporarily returned to Europe to pursue university studies. On returning to the U. S. in 1879 he took up the first of several museum and university positions he would hold over the second half of his life, but his reputation was made primarily as an explorer and writer. 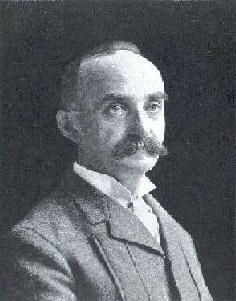 As a traveling naturalist he involved himself in several very high profile expeditions (including heading the Peary relief expedition to Greenland in 1892) and studied the geology and zoology of the areas he visited, later writing about his adventures and discoveries in a series of successful books, and many shorter papers. He was also a talented painter, photographer (he famously photographed the Mt. Pelée eruption of 1902), illustrator, and even an inventor of some note. --born in Sátoralja-Ujhely, Hungary, on 31 March 1853. --1856: the Heilprin family moves to the U. S.
--1879: returns to the U. S.
--dies in New York City, on 17 July 1907. --Geological Society of America Bulletin, Vol. 20 (1909): 527-536. --Journal of the Franklin Institute, Vol. 164 (1907): 313-326. --Bulletin of the American Geographical Society, Vol. 39 (1907): 666-668. --Michael Heilprin and His Sons: A Biography (1912).